Do you ever get the feeling you are being followed? You’re not crazy. You ARE being followed…around the Internet, that is, based upon your search history. As a fitness marketing professional, it is my job to ensure I am on top of the latest trends in digital marketing so that I can apply that knowledge to campaigns I am running for my clients. I am used to getting questions that begin with … “that sounds great, but how do I…” followed by a lot of silence while they wait for me to explain how they can incorporate a new trend into their own marketing campaigns. The silence was almost deafening on a recent webinar when I casually mentioned that if you aren’t using retargeting campaigns and look-alike audiences in their campaigns, they are leaving a potential windfall on the table. It honestly did not occur to me that the webinar participants had never heard of these words when they were being aggressively targeted themselves on a daily basis. Did you know that only 2% of website visitors purchase on their first visit? That means that 98% of people who visit your website or check out your offer for the first time bail without ever converting into a purchasing client. Sure, that 2% may become long-term, repeat customers, but if you’re letting the other 98% get away without purchasing anything, you are leaving a LOT of money on the table, and not yours. Advertisers pay thousands of dollars to Facebook, Instagram, Google and YouTube for the opportunity to get in front of potential buyers when they’re actually looking for something to buy. Utilizing pixels, or pieces of code that live on landing pages, advertisers are able to capture your information and essentially follow you around the internet, and present you with opportunities to purchase what you’re searching for. The pool for potential buyers is deep, but so is the sheer number of companies who want to earn their business. This is why you have to ensure you are in front of the consumer when they are ready to purchase. My niece is about to get her drivers permit and she has big (read: unrealistic) dreams of her first car. Last weekend, she asked my sister if she could borrow her laptop to research potential vehicle options and spent over an hour comparing body types and options and researching prices. Apparently, she spent quite some time researching Audi and BMW SUV’s as well as a few more reasonable Honda options. Fast-forward to that evening when my sister went online to check out her Facebook feed. Lo and behold, there was ad after ad from local car dealerships and pictures of the “way out of her price range” SUV’s my niece had spent the day researching. How in the heck did that happen? She hadn’t researched these cars, why are ads for them showing up in her feed? Simple answer: retargeting from pixels to her computer’s IP address that had captured search history that day. As most of you know, we specialize in creating fitness challenges for our clients and primarily utilize Facebook as our medium for advertising these challenges. Using Facebook pixels, we are able to capture information from prospects who do not take action on our offer. 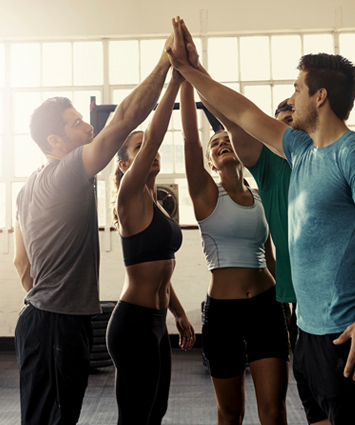 In this case, we are able to create a custom audience of people who seemed to be interested in fitness, body fat loss or nutrition and target them specifically based on this information. Through a retargeting campaign, we can provide them with more information about the challenges via email as well as provide them with another opportunity to click through to finish registration via additional ads and/or emails as well. If they fulfill the purchase, opt out or the campaign wraps up, the prospect is taken out of the retargeting campaigns. The best part about retargeting your audience, though, is closure. You can be sure you have done everything you could to get the sale before letting a prospect walk away without purchasing. Working hand-in-hand with retargeting campaigns, the look-alike audience is the BEST way to get in front of a cross-section of consumers who exhibit the same buying patterns and interests as current members of your club. How is that even possible? Have you ever had a group of clients that were so amazing that you wished you could have a hundred more just like them? Wish no more. Facebook has made it possible for you to upload a list of your current audience and using an algorithm I won’t even pretend to understand, they are able to create a new CUSTOMIZED audience for you to market to. You just “tell” them that you want to target people that have the same behaviors. Both retargeting and look-alike audiences are only two of a plethora of marketing angles that pre-empt an online sale these days. If you would like to get more information about how these opportunities can help your own facility, we would love to chat. Make an appointment with us here to see how Profit Marketing Solutions can help take your company to the next level.